Is Your Company Data Safe? According to the Ponemon Institute, the average cost of a data breach in the United States is approximately more than $7 million, while the EU has recently introduced GDPR legislation that can charge a company with a $4 million fine for holding EU citizens’ data. 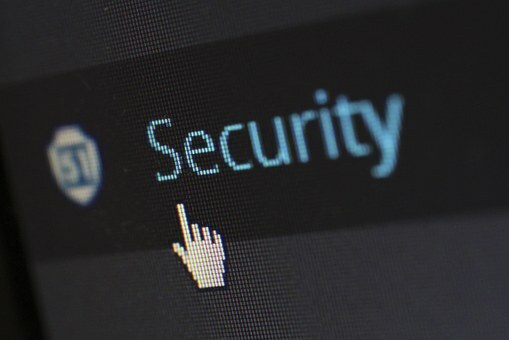 A data breach can therefore not only impact your reputation and operations, but it could also seriously affect your finances. With cyber attacks quickly rising, it’s essential to keep your data safe at all times. Identify if your company data is secure by comparing it against the following best practices. Your employees should serve as the first line of defense against cybercrime. Yet, 95% of cybersecurity incidents investigated found human error was a contributing factor. If you have yet to educate your employees on the importance of cybersecurity, you’re leaving your business vulnerable to an attack. For example, phishing emails are one of the most common hacking techniques that your employees could fall for, as they appear like genuine emails from a reputable source to convince people to reveal their computer’s login credentials or financial information. It is vital to provide every member of staff with the appropriate training, so they can identify common hacking tactics to avoid each working day and how they can help a company improve its online security. Big data is resulting in companies attempting to accumulate as much consumer information as possible, which can help brands to make an important decision when developing sales and marketing strategies. However, if your business possesses a considerable amount of personal and financial information, it could lead to a significant data breach, which could cost your company millions of dollars. If you’re hoarding a vast pool of data you’re not using, it’s important to take inventory of the information and to securely remove unnecessary data to protect your business in the event of a cyber attack. Have you yet to utilize data encryption? If so, it could prevent your business from falling vulnerable to a cyber attack. While it might not necessarily prevent hackers from gaining access to your system, it could stop them from acquiring sensitive data. Encryption can ultimately keep your in-house emails private and could protect any information stored in the cloud. Many organizations have invested in docker containers to ensure the dependability and speed of their applications. If, however, you’re using a rule-based detection solution, you could be compromising an application’s security, as errors can occur and increase a container’s vulnerability. However, the StackRox Kubernetes Security Platform is reliable for detecting Docker exploits and will protect your applications across their container lifecycle. Have you upgraded to secure socket layers (SSL)? If your answer is no, it could negatively impact your onsite security and reputation. It ensures the channel between a computer and a website is 100% secure, which can prevent a cyber attack. For example, you might have noticed many major websites have upgraded their URL to contain HTTPS over the traditional HTTP, which informs a user that a site has upgraded to SSL. It ultimately ensures every visitor on your website is secure, which is becoming standard practice for online security and greater trust. Previous post: How has the tech revolution affected sports betting?